As a civil rights leader, Dr. Martin Luther King Jr. brought messages on equality and love. He demonstrated understanding, integrity, and above all - peace. His virtues and vision resonate in the very spirit of what we are trying to do: spread peace and joy. It was in that moment that we realized that maybe we had something special. In addition to honoring his legacy, his day of remembrance (January 15th) is always a special one for the Tiny Pies family. 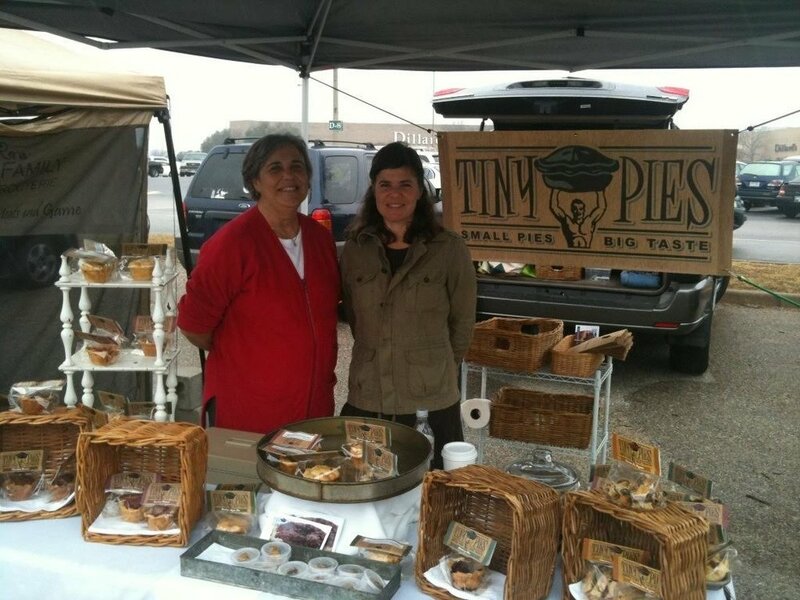 Seven years ago, we served and sold out of our first Tiny Pies at our very first Farmer's Market at the Barton Creek Farmer's Market in Austin, Texas. It was so much more than we expected. All of this was still just an idea to us at that point! (Read more about said idea here.) To follow our very first day in business, we gathered our product and headed for the Sweet Home Missionary Baptist Church where we won Best New Product at their annual PEACE through P.I.E Social. Myself (right) and my mother, Kit, at our very first farmer's market in Austin where we ran out of pie for the first time! Seven years later, (even though we can't compete!) we couldn't be happier to support Sweet Home Missionary Baptist's annual pie party. We highly recommend this event if you've never been. It's the perfect place to meet new friends and share PEACE through PIE. See you there! Join us on Saturday, January 13th to celebrate pie, peace, and the great Dr. Martin Luther King Jr. For more info, visit www.PEACEthroughPIE.org.